DMK believes that the origin of most skin conditions is a result of disharmony within the skin. 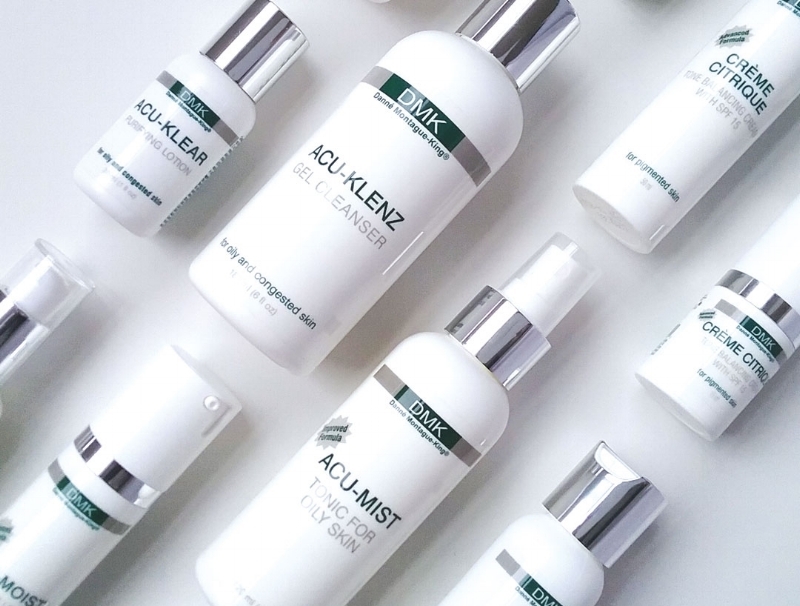 Using the principles of biochemisty, DMK has formulated a range of treatments and products designed to educate skin to perform like youthful healthy skin. By matching formulations with the body's chemistry, the skin is encouraged to respond in a positive manner. DMK's revolutionary concept of REMOVE, REBUILD, PROTECT, MAINTAIN aims to match an individuals biochemistry with the appropriate skin therapy. Botanical-based paramedical products make up the DMK skin care program. The DMK Enzyme therapy mask restores skin to its peak condition. It utilizes transfer messenger enzymes that regulate health and work with certain minerals in the body to form a natural system of anti-oxidants that fight free radicals, remove dead protein and toxins from the skin. The enzymes aim to strengthen the structural integrity of the skin and create a healthy environment, enhancing optimal skin functioning by working with the internal systems to increase circulation, oxygenation and lymphatic drainage while stimulating collagen production. $30 DMK add-on: Pro Alpha, Quick peel, Prozyme, Red vein cream, Acu-Therm, Hydrating Masque and ACU-Masque. Due to the advanced nature of the treatment DMK's Beta gel must be used as post care, a consultation must be scheduled to ensure suitability. Soften Callouses, corns, cracked heals or rough dry skin build-up on the feet with DMK'S Medi-Pedi treatment. Specialised ingredients used in the Medi-Pedi products are designed to sink deeply into the dead cell layers of the skin where they move away heavy cell build-up. The skin is softened and nourished underneath avoiding the recurrence of a build-up of callouses.